You might remember the headlines story around the Samsung Galaxy Note 7 which kept exploding. The main reasons were design and manufacturing errors which led to this disaster. Credit Suisse analysts estimated that Samsung would lose at least US$17 billion in revenue from the production and recall of the Galaxy Note 7. Building great products is really hard and it may be certainly frustrating especially if you have spent months on a new product ending up being a flop. The big question is why do product launches fail? What can you do to avoid that? Is there a secret formula to a great product launch? Are you looking for a bullet proof checklist or template to avoid the same mistakes? The reality is that there is no silver bullet for a successful new product launch and most product launches fail mainly because of a lack of a structured process. Is process the only element to an exceptionally successful new product launch? Let’s see. Let me walk you through all the three stages to an exceptionally successful product launch. Do you have a set process in place or do you just hope for the best for every new product launch? The pre-launch phase is critical for your product launch because it gives you the opportunity to structure your launch and map out in detail how you are planning to launch your product. Let’s dive deeper into what you need to do. Before you even start working on your launch plan, you need to take some time to define how you are going to approach your next product launch with a transparent process. It will save you a lot of time and help you to increase the probability of success. How does this process look like? That’s what I’m going to cover in the rest of this article. The first step of any successful product launch is to determine who is your target customer. You might have already a certain target customer in mind, but at this stage, it’s only a feeling. Before identifying your target customer, you need to understand the market you operate in. For that purpose, there is a great tool called the “Context Canvas” to have a good understanding what’s happening around you and what will affect your company. The team from designabetterbusiness.com have designed a beautiful version of this canvas. Do you think it’s just pure luck that Spotify disrupted the music industry? The founders had a very good understanding of the broader context of the music industry such as the changing regulation and the desperate need for labels to generate new revenue streams. There were a lot of indicators that it would be the right time to enter the market by introducing a cost-effective music streaming service to consumers. Once you have a good understanding of the wider context you need to segment your target market. Market segmentation is a very effective method of discovering how to reach your customers. And there are other ways to slice your market. At this stage, I would also recommend looking at the size, growth and fit of the different segments before making your final choice. I usually like to build a scoring model to help your decision-making process. After the segmentation exercise, you will have a much better idea who you would like to target. The customer persona will help you to visualise who is going to buy your product. And remember just to focus on one target customer. Make it as narrow and specific as possible. Write down every characteristic, trait, motivation, need and relationship you can think of, for these potential customers. You don’t know if it’s true yet, but it’s a good starting point to test later if this is the right target group. Hubspot created a great tool to make your own persona here. There are many ways to identify the problems or unmet needs of your target customer group. All these models will give you the opportunity to evaluate whether your product delivers enough value for your target customer. How often do you order takeaway on your favourite App like Deliveroo or Uber Eats? I guess this happens more often than we think. Essentially Deliveroo solves the problems of having the time or energy to cook a full meal by delivering fresh restaurant food directly to your doorstep. If you want to understand in more detail how to craft a compelling value proposition check this infographic from QuickSprout out. You might be thinking why on earth you need to write a press release at such an early stage, especially when you haven’t even started to build your product or written any code. It’s a process that we used while I was at Amazon to ensure that your product actually meets your customer needs. 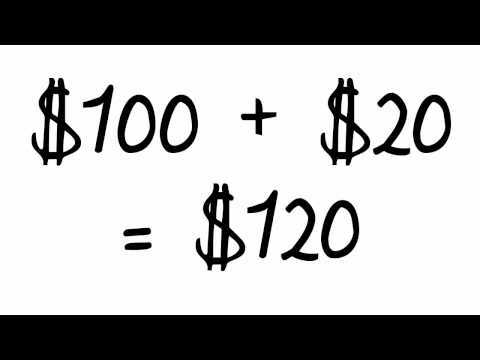 The beauty of this exercise is that it forces you to clarify your thinking. In essence, you write the press release imagining that your target customer is going to read it. You need to give him as much detail as possible about the product experience as if your product is already out in the market. Also, you need to consider sharing your press release with all key stakeholders to ensure that everyone understands why this new product is outstanding and to receive constructive feedback on how to improve your product. This will most likely be quite an iterative process, but looking at all recent Amazon launches, it proves to be very effective. If the press release doesn’t prove to be beneficial enough for your target customer, there is no need even to waste your time to start building your product. The main reason to add an FAQ to your press release is to provide all involved stakeholders more details on your product and your launch plan. Customer facing FAQ – Imagine for this section to add all possible questions your customer would ask you. Internal facing FAQ – Here you have the opportunity to identify what processes need to be put in place to launch your product. You will most likely notice while you write it, that you need to define or adapt many internal processes. Assemble the press release and all FAQs into a Go-to-market document which effectively becomes the bible for your entire team. Consider making your document available on a shared drive by restricting the access only to all involved stakeholders in your organisation. Once you have received the green light from all involved parties, it makes sense to start building your minimum viable product and to test whether your assumptions are correct. The MVP is called minimum, as you should spend as little time and effort to create it. It doesn’t make sense yet to develop a full value proposition because it would take too long and it would be too risky at this stage. Imagine you wasted time and money to develop a product nobody wants. To be more precise you need to decide the feature set for your minimum viable product candidate. You might have already specified the feature set in your Go-to-market document. Brainstorming – Brainstorm all possible feature ideas with your team and classify them in different benefits categories. I would recommend selecting the Top 3 features for each benefit. Story mapping – That is a standard technique used in agile development which gives the total overview of the complete product from the beginning to the end of the usage flow. Don’t forget to chunk your features into smaller pieces of functionality and to scope out how much effort/time each feature requires being developed. After having completed the above exercise you may have a large list of features which need to be prioritised to define your MVP. Return on investment – Do a simple ROI calculation by taking the development effort and the expected value you are expecting from that particular feature. You can also look to further classify all the features in benefit buckets. Frequency – How often are your customer going to use it? Quantity – How many users will use this feature? Risk – How risky is this feature? How do you validate your MVP? Once you have prioritised all the MVP features you need to work on developing an attractive and intuitive user experience. After you have built your MVP prototype you can test your MVP with a broad range of qualitative and quantitative tests. I would recommend using multiple testing techniques to improve your probability of success. Dan Olsen has created a beautiful matrix in his book “The Lean Product Playbook”. Now that you have validated your MVP you should have more confidence because your product has achieved product-market fit, it is time to develop a robust plan and set a firm product launch date. To ensure that you keep the projected schedule you should also schedule weekly catch-up meetings with all the relevant stakeholders. Software such as Aha! or Productplan will help you speed up the process of building your launch schedule. Pro Tip for European Launches – If you are planning to launch across Europe I would rather chose a gradual release to gather some feedback across your key markets. Also launching across Europe requires extensive planning as every country has its own local laws, cultural norms, languages, forms of currency and payment, and unique business practices. I have seen many companies which believe they can apply the same playbook. That is one of the reasons Uber is still facing a lot of resistance from key European countries such as Germany and France. A product roadmap is a powerful tool to describe how a product is likely to grow, to align the stakeholders, and to get your budget approved for developing the product. At this stage, you should have already a complete product backlog feature set you can use to build your product roadmap and map out the different releases. There are a number of great tools available such as Aha! Or Productplan to simplify your life. You can find a list of all the main product road mapping tools here. In my experience messaging and positioning is sometimes overlooked by tech companies. Let’s be honest it’s a difficult exercise. Positioning is a subset of your value proposition. It’s our promise that our product is best suited to meet their needs. Messaging is a subset of positioning and defines precisely what are you going to say to your customers. It’s very much an art to doing it well. You can find an example of an effective Brand messaging framework designed by Highfive. Your Go-to-market document should already contain especially in the FAQ section more details on your messaging and positioning, but depending on the test results from your MVP you may want to adjust your messaging and positioning accordingly. Don’t forget to set clear goals for your product launch. Once you have agreed on your goals, you need to define how you are going to measure them. You can only measure and evaluate your launch by establishing clear metrics. Without metrics, your goals are empty. It may sound easy, but in practice, you need to have the right tools and processes to be able to track all these metrics. Kissmetrics created an excellent visual representation of the model below. Track everything, but report only what is relevant or important for your Business with a particular dashboard. I would recommend to standardise your report and establish a consistent sharing schedule to ensure that all relevant stakeholders are up to speed with the progress. The beauty of having a standardised approach is that you can compare easily every single product launch against each other and evaluate which marketing tactics worked best. You need to get out of the building and start getting feedback and gather data as early as possible with a closed group to evaluate whether you are on the right track to launch the new Uber and whether your messaging is resonating with your target audience. The beta will give you a lot of valuable insight how your beta users use your product or whether you need to adjust your Brand messaging framework or your user experience. Don’t forget to involve your sales team as they will also be able to give you valuable feedback. How are your customers going to buy your product? This may sound like a simple question, but in practice, it requires thorough planning especially if you are starting out. You need to make it easy to buy your product from whatever channel they chose to. I would recommend selecting max. 3 distribution channels to start with to ensure that the execution is flawless across these channels. Even the best product will do little good for the public if they do not know it exists. One of the most crucial elements of your product launch plan is the promotion. Let’s not forget that it takes several weeks to plan and execute an effective launch/marketing plan. As a general rule, you should focus your investment on your launch event and use critical inbound and outbound marketing tactics to draw the attention to your launch event. How can you prioritise your promotion channels? Owned, earned and paid media. The team from Buffer published an excellent article on content promotion strategy here. 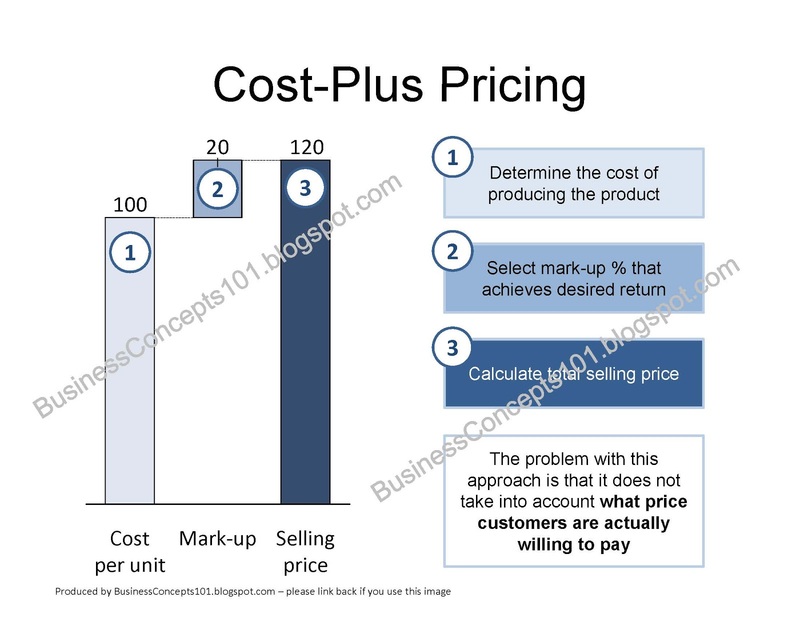 If you get your pricing strategy wrong this may create problems that your business may never be able to overcome. If you ask too much for it, they might not buy your product and if you ask too little, it will harm your profitability. You should now have a much better picture how you are going to launch your next product, but there are a couple of pitfalls you should avoid. Once you have a complete sign-off you are in a position to finalise your Go-to-market document. We are now getting much closer to the launch and thus you need to inform everyone in the organisation about the new upcoming launch. You need to train primarily sales and support teams as they need to understand the product in-depth and get a better understanding what marketing materials are available. Make sure everyone has sat in on a product demo, has received all collaterals, played around with your product, and fully understands all features and capabilities. Apple knows how to create buzz with perfection. Incorporate features that make your product highly-sharable. Use your weapons of gamification and persuasion like pre-referral codes, exclusive pre-launch access and challenges. That’s exactly what Dropbox, Gmail or Snapchat did to acquire many new users without spending any money. Even though all stakeholders have signed off every operational detail, I would still recommend to go through the entire customer journey and check every single element with your team. Make sure that your infrastructure can sustain the traffic. The launch is one of the most nerve-wracking moments which could define your career moving forward. If you have worked systematically until today, your launch will most likely be a success. Finally, the day has arrived to lift the curtain and announce your product to the world. To tie your launch with a live event has massive benefits because it will give you the opportunity to get more press coverage, demo your product to many people and get influencers or partners involved to endorse your product. If you have the Budget you could organise your own event, otherwise, you could choose a relevant trade show or conference. Or you could also host a Facebook Live event or a virtual summit with various speakers and have daily contests. And there are many more tactics you can apply. Also, don’t forget to post your new product on Product Hunt. An example below when Elon Musk announced his new Boring Company. Pro Tip – Avoid launching straight away on a global scale and it proves to be too complicated and risky. It’s better to learn whether it works in particular countries or areas and then use the learnings to scale it across other sectors. For example, Amazon Fresh rolled out gradually their services. Also, you need to localise your content whenever it’s possible. You launched, and you might celebrate, but what next? After your launch, your job is to identify if any issues are preventing your customers from buying your product. Your primary focus is to track, listen, learn and iterate your product according to the direct feedback you are receiving from your customer base and your team. Throughout the launch and after the launch you should experiment with different marketing tactics to assess the impact on your awareness and penetration goals. Use your dashboard to track all key metrics to see if you are meeting your goals and identify if there are any issues which need fixing. You might be celebrating with your entire team and everybody is still buzzing after your product launch, but there is still one very important task to do after every launch. You need to schedule a post-mortem or called a retrospective meeting to assess your launch, but to also uncover any insights which could help your team to improve their processes moving forward. What went well that we can repeat in the future? What went wrong that we should avoid in the future? By now you have discovered that the foundation of every new product launch consists of a well-defined customer-centric process, a great team and an appealing product. Your product launch is only going to be successful if your customers have a strong desire to buy your product and most importantly if you cure their pain. Hopefully, all these 25 tips for an effective product launch are going to help you succeed at your next launch. In the end, a good process beats luck! Share this article with your network. Thank you. Thank you Rajkumar. That’s the idea. We all want to hear new success stories. Quite great short article. I completely take pleasure in this web page. Carry on the favourable hard work!